In my historical novel trilogy about onion farmers, which stretches from the 3rd Century to the present day, I have my main characters, the Cannara family from Italy, invent an “onion cheese”. In the second part of the trilogy, I have the Cannaras take some of this cheese on a trading voyage to China. Theses voyages could last well over a year. I have them forget some of the rounds of their cheese, and they makes a return voyage. To their surprise, the Cannaras find that the length of travel and the motions of the ship have produced superior cheese. This they sell at a high profit. Immediately following is a current news article about some cheese found on a ship that sank 340 years ago. Below that is an excerpt from my novel, China Lily. Divers exploring a sunken 17th-century gunship from Sweden say they have discovered what they believe to be cheese. “The smell and the texture of the material really points in that direction,” Lars Einarsson tells As It Happens guest host Helen Mann. Einarsson, the marine archeologist who heads up The Kronan Project, thinks that the cheese smells like a mix of yeast and Roquefort. The material was found in a tin at the wreck site of The Kronan, the largest ship of its time. It sank in 1676 in the Baltic Sea, which helped preserve the cheese all these years. The Baltic Sea is a ideal for preservation of the cheese, according to Einarsson. 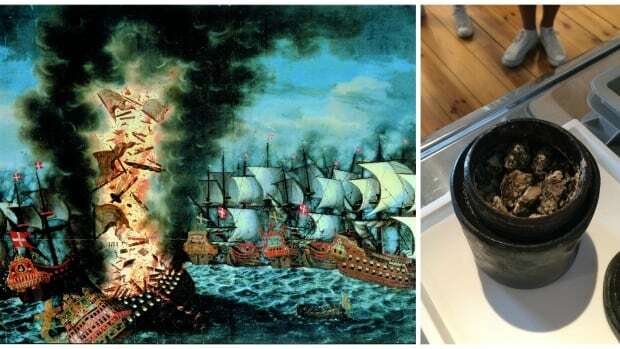 The low salinity, along with the fact that the ship sank in clay, helped seal the pewter canister away like a time capsule waiting to be opened. When asked if anyone would dare bite into the 340-year-old cheese, Einarsson paused. The cheese has been sent to a lab and Einarsson hopes to have the results of what exactly they have within a month. He adds that it may wind up on display some day. Just as he did on his last two voyages, Cepa will also bring a few wheels of the onion cheese back to Europe. He has established an authentic pedigree, with the local bishop stamping a date on the sealing wax of the cheese. Assuming there has been no damage by seawater (which has happened to a few of the wheels); the “onion cheese” has such renown the Cannara’s joke that they can almost sell it for its weight in gold. The “ocean cheese” came about through an accident. On the first voyage Cepa had taken, some of the wheels of onion cheese had been swamped by seawater. The storm was so rough their wax had gotten chipped and cracked. Cepa instructed that they just be thrown overboard. However, before that happened, other crew members shifted cargo and the cheese was shoved into a corner and hidden. Other goods, purchased at different ports, kept obscuring the cheese. When they returned to Europe the cheese wheels were revealed. In the process of throwing them into the harbor, Cepa discovered a half dozen wheels in the middle had not actually been damaged. 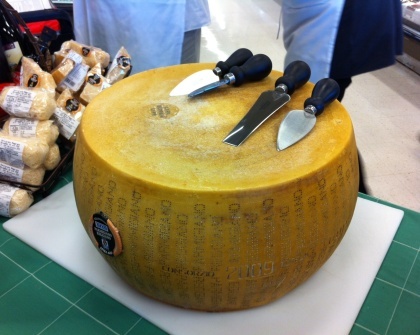 A couple of months later, when the Cannaras decided to cut open one of the wheels, they found the cheese had acquired a piquancy and an oddly smoother texture. Speculation was that the motion of the ship, the salt in the air, and the additional years of ageing made the essence of onion permeate the cheese more broadly. Cepa tried half the wheel on the extended family. The other half he proportioned out to the three medicinal bathing lodges the Cannaras owned, scattered through the foothills of the Alps. He had thought of just using it in Cannara taverns, or even as a supplement to the mid-meal at some of their businesses. The response he received from both the family and patrons of the spas changed his mind. Even though the onion cheese had been touted for its “medicinal properties” at the spas, and promoted as an “oriental delicacy” elsewhere, the enthusiasm with which it generated proved that everyone reveled it its taste. Cepa was well-aware that part of the family lore concerned an Enaiy of centuries ago who had tried making cheese under water. He wondered if there was any part of the process that might be similar to the sea voyage. Perhaps the amount of additional time was part of her attempt, or bring rocked by the waves. He had no idea if the Cannara’s current recipe for onion cheese had anything to do with her underwater process. His “ocean cheese” had been so well received that the Cannara family put a small sample on display to taste. Then they began to auction it off. Because most of those who used their spas were wealthy, or nobles, or rulers of the church, members of this social strata had already heard of the cheese. It was as rare as spice. It only appeared in small quantities every few years. Having no way to calculate a production cos, the Cannaras started at the base price for their regular onion cheese. Those of wealth and appetite took care of the rest.